The Blackened Balthasar Bracers includes a pair of arm guards featuring a rim decorated with rivets. The combination of the rounded edges and the dark metal finish provides the arm armour with a striking, warlike appearance. 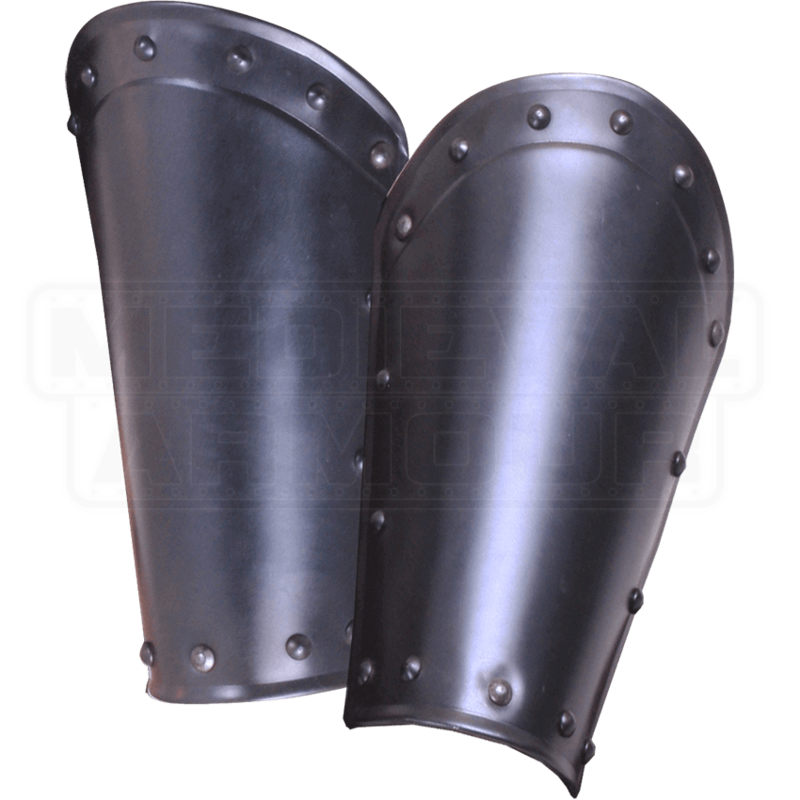 Made from sturdy steel, these metal bracers offer excellent protection for LARPing and historical re-enactments. The LARP armour covers from wrist to just below the elbow, making this the ideal choice for protecting your forearm. We recommend wearing these steel bracers with padded arming wear for increased comfort. Be sure to check out our other Balthasar-style armour when creating your complete medieval warrior ensemble!